Almost three years ago I experienced a devastating loss when my best friend lost her 9 year old son. No one is ever ready for something like that because it hits you so hard and so fast and it literally takes your breath away and leaves you reeling. Having not ever gone through anything this devastating before I was so grateful for those who stepped up to help us through those first couple of weeks as we muddled our way through all that needed to be done. In particular, having meals delivered to the house was an amazing blessing to the family. Here are some tips I learned throughout the process that I thought might be beneficial to others wanting to prepare a meal for someone in need. Of course that need doesn’t have to be the loss of a loved one. It’s also a huge blessing to new moms to receive the gift of a meal, or the new family next door welcoming them to the neighborhood, or a friend celebrating a birthday or simply needing a pick me up after having a down day or for a family trying to get back on their feet after recovering from the flu. The list goes on and on. Here’s how to bless someone in your life with a meal. Bringing over meals is a nice and generous idea but wouldn’t it make life easier if you knew what everyone else was bringing so as not to make duplicates? It is definitely possible now through online sites that allow you to coordinate and organize meal delivery with others. There are many to choose from. Two that I’ve used in the past are Food Tidings and Meal Train. Both allow one person to set up a schedule and send out email invites to others asking them to sign up on any of the available days to bring a meal to the family. In addition, each volunteer is asked to record what type of meal they’ll be bringing which is particularly helpful for alleviating duplicate meal types back to back. It also allows you the opportunity to know whether there are any family likes, dislikes or allergies and how many people will be in attendance. Also particularly helpful are the email reminders that go out so you don’t forget what day you signed up for. 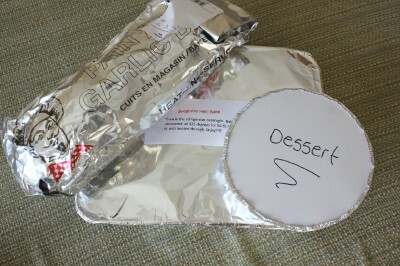 It’s also a nice touch to include some garlic bread and an easy dessert with the meal if you can. Please remember it doesn’t have to be fancy or even elaborate, whatever you are able to do is so appreciated. With so many other details to worry about, not having to think about food is such a huge blessing to the family. Even if you don’t have time to prepare a meal bringing over baking of any kind (homemade or store bought) is helpful as the family will have plenty of visitors popping in and out of the house all day long. It is so important not to add additional stress onto the person you are trying to bless especially when multiple people are involved supplying meals. Using disposable dishes means recipients don’t have to worry about remembering whose dish goes back to who. With someone new possibly bringing dinner each day the dishes start to accumulate pretty fast and take up valuable space in the house. To return them is just one more thing for the family to think about. If it’s not possible for you to use disposable dishware offer to come back the next day to pick up your dishes. Even when there is a schedule sometimes recipients can get overwhelmed with all the food coming in. That’s why it’s always a good idea to make a meal that can be easily frozen for later if necessary. Bringing over a meal that freezes well and can be cooked and heated later means that if the meal isn’t needed that particular day they can simply stick it in the freezer for another time when it will be needed. Most casseroles freeze well. Please read my freezer post for freezer tutorials and more recipes. 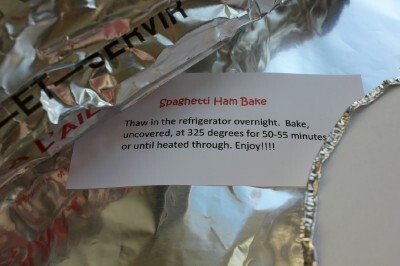 Always include clear cooking instructions on the food you bring written in permanent marker. Tape or write instructions to the top of your meal container. In addition to the cooking temperature and time, you will also want to include the name of the dish as well as highlight some of the main ingredients in case of allergies. Such an amazing gift! Have you blessed someone lately with food? Do you have any other suggestions or recipe ideas you’d like to add? Please feel free to add them to the comments below. My husband and I lost our 5 year old little girl July 2011. I would like to give a quick suggestion that I really appreciated during our trying time. Everyone always thinks about dinner meals. I really appreciated the breakfast items and snack items (with all the decisions to be made, there isn’t always time for a dinner) and paper products (all the visitors use a lot of tissues and TP and soap and napkins and paper plates–make sure to supply paper plates with your meal!) Just thought I’d pass on some helpful info. That’s very helpful, thank you and I’m so very sorry for your loss. I like to bring breakfast foods and paper goods. Who wants to do dishes when you are worrying/dealing with other things? Breakfast-y things I bring are bagels, flavored cream cheese, fruit (apples, oranges, bananas, etc), English muffins, baked goods, juice, milk, etc. They are things you can eat any time of the day, even for a snack. You could also make a breakfast casserole but I’m not a fan of those so I usually don’t. Most people think about bringing a dinner so breakfast is a nice change. Never thought about breakfast! Such a great idea. Thanks! Is there a way I can follow u on blogger/wordpress? Yes that’s a great point and why I think the services mentioned are so helpful because there is a place to include information like this. A friend could create an account for the recipient and then share the link on Facebook, with other friends, church members, etc to pass the word along. If someone doesn’t know the recipient’s information though It is definitely a courtesy for them to double check this information prior to bringing the meal. I just wanted to add that I think bringing food is not only helpful on a very practical level… but on a psychological and spiritual level, too… In times of deep grief, we go into some place that is between life and death… for a while we are with our loved one… we lose an appetite not just for food but for living. The act of someone cooking for us, preparing food for us, thinking of what food we like and need, feeding us brings us back to the living… it is so powerful… so fundamental… Our mothers draw us into the world this way and our friends and family draw us back to the world this way. This was a great post and I will bookmark those sites. Very helpful. Thank you. We have been on the receiving end of getting food when I was in the hospital a few times and had surgery. It was nice to have food for the family so dad wouldn’t have to cook food all the time. We did get tired of au gratin potatoes and still laugh about it now. We did ask our church members not to bring it all the time, which they understood. I am going to take a lunch over to my friend this week that’s had cancer surgery. Then take some dinner items and chocolate, which she loves, too. Uplifting indeed. Every little bit helps when people are down and it shows they are loved. I love the online calendars; I am a meal maker often for others — and they have been such a blessing to our family on occasion, too. 3 suggestions: I sometimes make up a deli tray (sliced meats, cheeses, rolls or bread, relishes). The beauty of this is even young children can choose what appeals to them and help themselves. Plus it easy to save and reuse leftovers. If the family is receiving a meal every day, make only the quantity needed to feed them for a meal or they get overwhelmed with leftovers. If they are only getting two or three meals a week, the larger sizes are really helpful. I sometimes use disposable casseroles. the Other thing I do is buy casserole dishes at the dollar store or on clearance for a couple of dollars and then tell the family they can keep the dish. I used to worry about how those cheap casseroles would hold up but I somehow got one back and I have used it many times with no issue. I love blessing others with a meal. 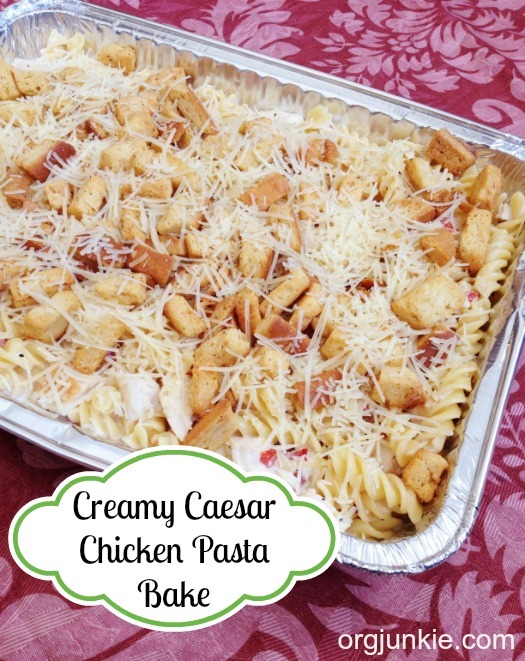 I have a wide variety of menu items that I make regularly. If I’m bringing a dinner, I like to round it out with a fresh salad and a side dish. I also make baskets with fruit, granola bars, and some sweet treats for the family to snack on. Currently cooking for 4 seniors, two of which have cancer and are going through chemo-They say I’m blessing them~but in fact I’m the who is being blessed abundantly! One of my first blog posts was written when I found out that March is BAKE & TAKE month! What a wonderful idea to write an article about! Oftentimes when we hear from a friend or relative about a difficult time and we wonder what can we do to help out. The classic meal is a great way to help! 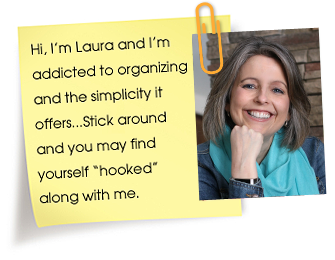 Love the links about organizing the effort. Then the recipient isn’t bombarded with the same dish. I’ve done quite a few meals – I really like meals folks can put together at any time in ways they want, for example grilled marinated chicken, a side of rice pilaf, but add rolls, wraps, and a salad – this means they can heat it up as a meal with the rice, put a chicken breast on a roll for a sandwich, or slice it up and put in a wrap or in the salad. Many possibilities. I enjoy giving quiche so someone could eat it at breakfast or dinner. Meatballs along with rolls and dried pasta and sauce make it easy for someone to freeze the meatballs and have the fixings for a quick dinner when they need (vs needing to use or freeze a casserole dish immediately). Fajita fixings, taco fixing, or enchiladas are another fave especially for families – add a salad and they have possibilities for a meal or a mexican style salad. I’ve also dropped off sandwich fixings for families who are dealing with extended illnesses so that they don’t have to worry about a quick lunch when they have appointments during the day – so many times dinner is covered, but lunch is forgotten. Great post. I recently had triplets and appreciated greatly all the people who made our family meals towards the end of the pregnancy and during those first ultra tiring days. I think you’ve covered all the necessary points well. 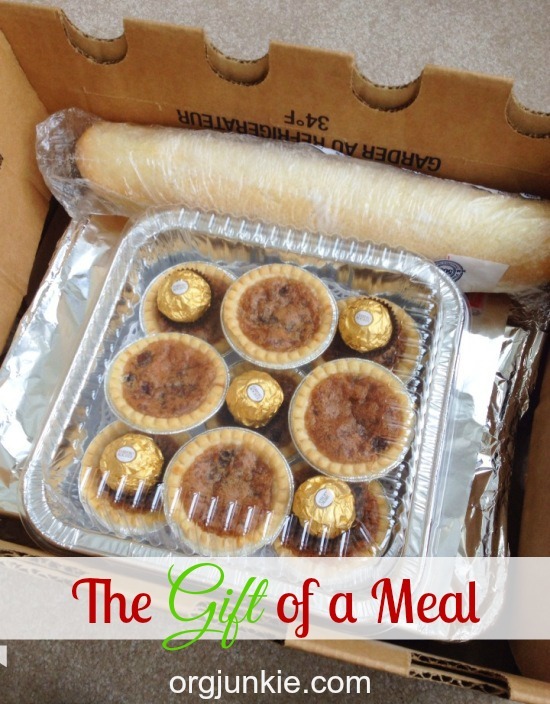 Love the idea of giving the gift of meals. I would do this especially for new moms so they didn’t have to cook. Our Moms Club would schedule a week of meals for any new mom that requested it. It was wonderful and you got to meet other moms in the process of them dropping of the food. Very nice. The freezer meal is a great option for moms that get several meals brought over at once. They can always freeze it for later. Love it. That cheesy ham & pasta bake is sure to be a hit with families receiving meals. We do a three-cheese ziti, no-knead foccocia bread and either a coffee cake (dessert or breakfast) and frozen cookie dough. Recently, we made baked potatoes & salad with all the fixings. Leftover baked potatoes freeze well, can be made into soup, hashbrowns, breakfast potatoes, etc, and the toppings can be used in many other dishes as well. When my oldest daughter was 2-4 years old, we made a lot of meals for church friends who were having babies. If there were other children in the family, I would have my daughter decorate a paper lunch bag and pack a treat for the other children. We would pack a juice box and a fruit snack (or whatever) and sometimes a box of crayons. It gave her something to do while I was packing up a meal and also a nice touch to think of the “big brother or big sister” we were bringing dinner to. I often bring soups and homemade bread and salad as it is an easy and economical meal to make while I am cooking for my own family. I always want to bring the meal in containers which don’t have to be returned so sometimes my containers will dictate what meal I bring as I seem to always seem to have gallon and half gallon jars around from Costco purchases. I also like to bring a fruit salad made from canned pineapple & its juice, apples and bananas, and whatever other fruits are available. The juice keeps it fresh for a few days and the salad can be used for breakfast or lunch or dinner. Especially in the newborn days, a big part of the blessing is just having people visit briefly when they drop off the meal, since I find I feel really isolated in those long days and sleepless nights. This is so smart! Never even thought about it. I do something similar to make my life easier but never thought to extend it as a way of sharing meals. Much better than taking the covered dish. I want to mention something also, since we are somewhat on this subject. I buried both of my parents 18 months apart. It was a lot for me to deal with as I have 2 brothers but they were not involved in any of the decision making. It was EXHAUSTING. I was so blessed to not only have my church ladies bring a full meal to our house, but they served us and then cleaned it all up, and packaged and put away the leftovers, swept the floor and washed any dishes. Even took out the trash! They were a Godsend. And they did this both times. A difficult subject, but so important. I remember when I was heavily pregnant with my daughter, a friend brought over some serves of lasagna and mac n cheese (enough for both husband and myself) and some single serves of soup. They were in metal trays to go straight in the freezer/oven. It meant I didn’t have to spend time on my feet late in pregnancy (I had hip problems) putting meals in the freezer for after she was born. And having a few meals already to go was fantastic. She also turned up with chicken, bread and salad stuff a couple of days after my daughter was born, fed me and cleaned my kitchen.It really makes a difference. We were part of the September Bastrop TX wildfires where more than 1600 homes were destroyed this past year… Much to our amazement, the outpouring of love and generosity from friends and family – from people we didn’t even know, was overwhelming. However, more overwhelming for me was the long ingrained notion of needing to write thank you notes to everyone who sent a check or gave us used clothes or… I am an ardent thank you writer under normal circumstances. I just think it is rude not to express gratitude for that which was offered (guess I’m a bit old school like that). However, after a few months and over 100 thank yous and many more still to write… I quit. The thought of going through the pile of yet to be written thank yous still sends me into near panic mode (6 months out)… I just hit a wall of explaining how we are OK and how much it is all appreciated and and and… I had some family (my mom) think I was being rude and not understanding my position… but then, they’ve never (luckily) been through anything like this before. Thank you notes are important but really, are another heavy burden in the midst of the insanity. I’ve provided a number of meals and honestly have never expected a thank you. I can’t imagine that anyone who is providing a meal to someone at time of crisis or with a newborn or whatever the reason would expect that effort. A meal being delivered is supposed to be a weight lifted, not a burden, which is why disposable containers are so key – the recipient should not have to do much effort to serve their family with the food provided. The feeling I get from helping is all the thanks I need and I’m sure others feel the same way, so let yourself off the hook!! Hi. I have Food Allergies. (Dairy, Gluten, soy limited). Imo, please find out if the people you are bringing meals for are allergic or sensitive. Include name and all ingredients in the food! Also this is good advice to follow for Vegans, etc. Last thing a grieving person needs is to fall ill (or worse?) Due to eating, ya know? Our 19 year old was diagnosed last fall with cancer. We had to bring him home from college and we spent 5 days per week up at the cancer center anywhere from 8 to 10 hours daily. Our amazing community stepped up and brought meals every week, 3 to 4 times per week. We put a cooler on the porch so items would be fine. Organic foods were requested. In bringing our sons car home in the spring from college my son and I had a horrific car accident. Mechanical failure but we flipped 4 times down a hill on day 3 of the journey. Once again, our fantastic friends/community brought food for all meals. Since our son was still going through the cancer therapy ( still is almost 1 yr later) everyone was great about only making all foods organic. We live in an area that our fruits/veggies are so prolific and organic chicken, grass fed meats. It’s amazing the creativity of our wonderful support system. People were more than happy to honor the organic request as they knew that was important and just wanted to help.